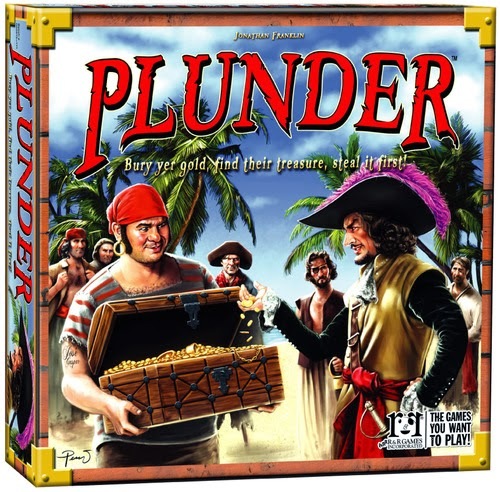 New out from R&R Games is Plunder, a 30 to 45 minute game of collecting clues and stealing treasures - a game of deduction. You are a pirate captain with a cache of buried treasure. You want it to stay hidden and of course being a pirate, you want the other pirate's loot as well. 3. the Trap that guards it. 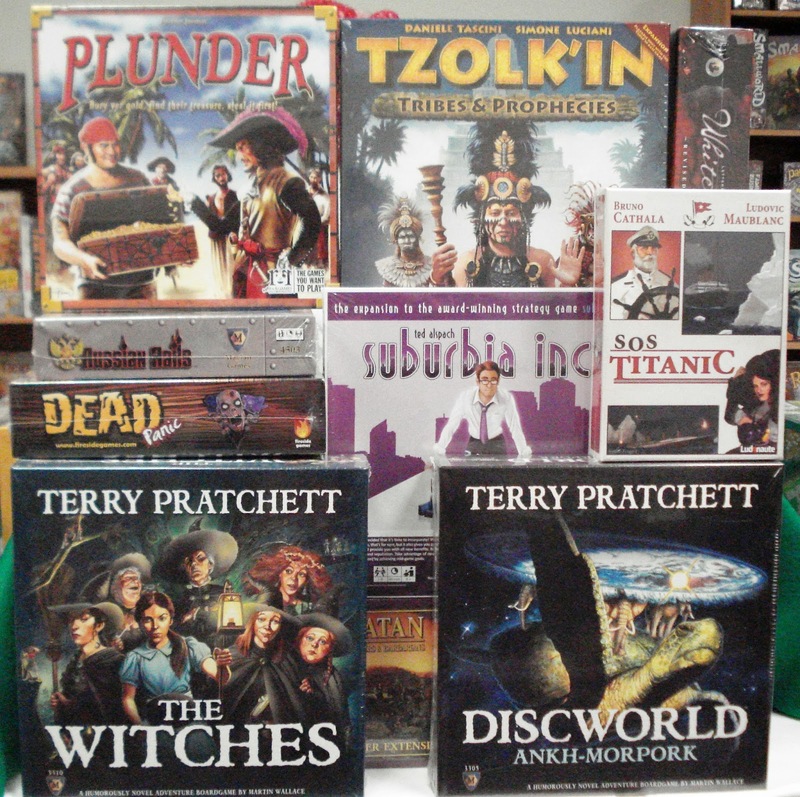 Clue cards revealed on each turn provide the information to deduce where treasure is buried. Clues are tracked on individual player dry-erase solution cards. Gather enough information from the clues and send your crew members to search for your opponent's treasure. Earn the highest points if your treasure is not discovered. Be the first to discover an opponent's treasure and receive the highest points for stolen treasure. April 14, 1912 – 23h40 – North Atlantic - R.M.S. Titanic strikes an iceberg. The water immediately floods into the boat’s compartments and the ship is listing to starboard in a worrying way. No hope about her outcome. Another new game is SOS Titanic from Ludonaute, a cooperative card game that can also be played solo. 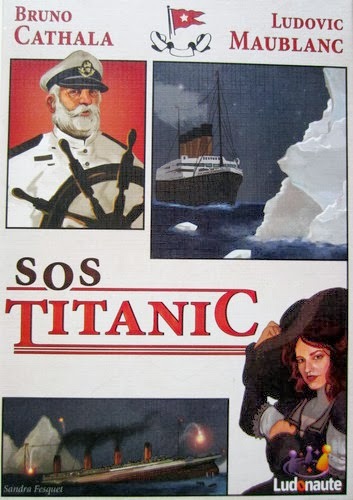 You are Titanic's crew members trying to save as many passengers as you can before the ship sinks. Use your unique ability to help the team in saving passengers. On the ship, the passengers are pictured on numbered cards in sets of 1st-Class passengers and 2nd-Class passengers. The passengers need to be arranged in order in lines on the decks and boarded into lifeboats. In setting up the evacuation lines a player randomly draws passenger cards. If the none of these passengers meet the line placement requirements then the ship sinks another level. Players also have the option to play special actions such as equalize the lines or look for a specific passenger, or save time. As each page of the booklet turns the ship sinks further into the ocean and coming closer to ending the game. One of the newly released game expansions is Tzolk'in Tribes & Prophecies for the base game Tzolk'in The Mayan Calendar. 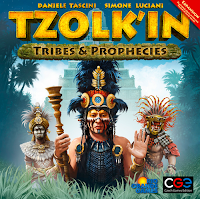 The Tzolk'in Tribes & Prophecies expansion includes new buildings as well as components for a 5-player Tzolk'in game. With this expansion players will assume the role of one of 13 tribe leaders each with a unique ability. Also adding to the game are 13 prophecies that will influence the game. These prophecies provide opportunities to score points but can also cause players to loose points if they don't prepare for the prophecy effects. A game session will utilize only 3 of these prophecies and will be revealed at the start of the game. 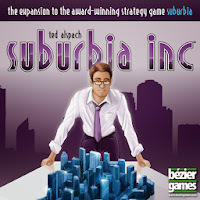 Another new expansion is Suburbia Inc. for the tile-laying strategy board game Suburbia. Suburbia received the 2013 Mensa Select Award. With this expansion you will work at incorporating your borough. As a city planner this gives your little town new possibilities. You can define borders that are unique and provide you new benefits. There are a dozen new powerful buildings that you can use to optimize your income and reputation. New bonuses provide opportunities to increase income while challenges achieved midway through the game will boost your reputation.